A melting pot of cultures, Malaysia ranges from its booming capital to dense rainforest, from towering peaks to idyllic islands. Malaysia is an incredibly diverse country which really does have it all. 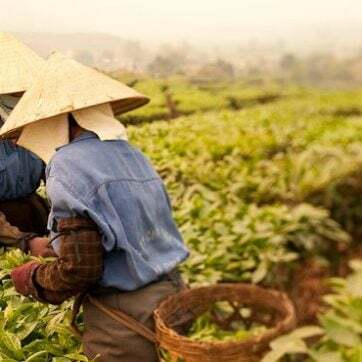 Its coastline and islands are packed with pristine white sand beaches and crystal clear waters and it’s no less beautiful inland, with rolling hills and peaceful tea plantations ripe for exploring. Make sure you duck down the side streets in Kuala Lumpur and Penang to try the fantastic local food – you’ll be spoilt for choice. Experience Malaysia’s fusion of cultures and diversity of nature in a tailor-made itinerary created for you by Jacada Travel. From accommodation carefully matched to your preferences to privately guided tours and personalised expeditions, our in-depth, first-hand knowledge of Malaysia will ensure you experience a bespoke and luxurious trip. Made up of more than 200 islands, Malaysia’s terrain varies from dense jungle to pristine, sandy beaches, and the multicultural mosaic of Malay, Indian, Chinese and British influences is present in the country’s fascinating architecture, religious fabric, and diverse cuisine. Unwind on Langkawi’s popular shores; dive exquisite coral reefs off Tioman Island; explore Penang’s UNESCO-protected Georgetown; and head up to the hill stations and cool countryside of the Cameron Highlands. Kuala Lumpur is an example of Malaysia’s economic growth, a capital that no longer sits in the shadow of nearby Singapore, but holds it own as an international city. Visit the iconic Petronas Twin Towers and take in the cityscape from the top of the KL Tower; shop in the city’s many sleek malls; submerge yourself in the bustling China Town; and get our recommendations for the hottest, in-the-know places to drink and dine. Get inspired by browsing through some of our most popular example trips below. Then call one of our expert Malaysia Travel Designers to start planning the journey of a lifetime.